Justin Bieber’s 2014 recommitment to Christ has brought about many changes in the young singer’s life. His 2016 album Purpose is his most personal and honest work to date. It showcases the transformation Justin has made from the inside out. This video is yet another example of Justin’s commitment to Christ and willingness to praise Him no matter the setting. What’s Featured in the Video? 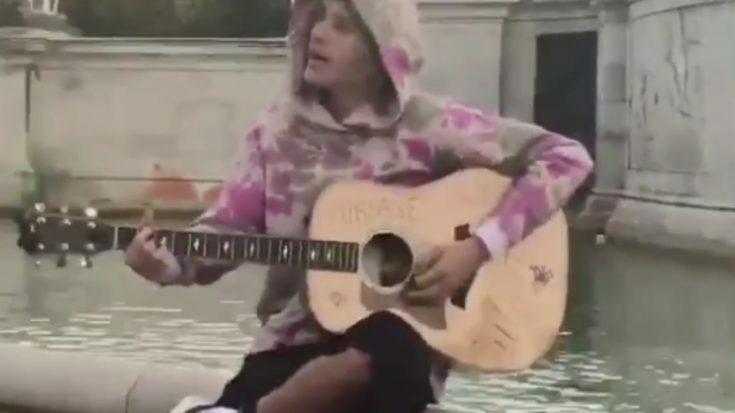 This video, published by Daily Jailey Brasil and shared by Relevant, features Justin busking outside of Buckingham Palace in London while on vacation with his fiance Haley Baldwin. Busking, for those who aren’t sure, is basically performing on the street. This is interesting enough in and of itself. After all, how many times do you see successful artists like Justin essentially throwing a free impromptu concert for passersby? It is one of the songs he chooses to sing during his set that makes an impression though. 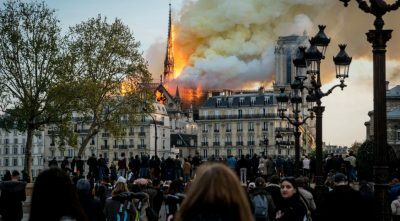 This song is “Good, Good Father” by Housefire, which is a song that talks about the goodness of God. What We Can Learn From Justin? We can all learn a lot from the example Justin is setting. He transformed from a person deeply involved in promoting his own fame, just trying to get ahead in life, to a person who loves the Lord and isn’t afraid to let that shine through. He is living out Romans 12:2, which says, “Do not conform any longer to the pattern of this world, but be transformed by the renewing of your mind. Then you will be able to test and approve what God’s will is—His good, pleasing, perfect will.” Though Justin will likely have times where he slips back into old habits, as do we all, it’s great to see someone as committed to the Lord as he seems to be, going out into the world and telling others the good news of Jesus.